Guinness Hop House 13 comes in a 33cl bottle format. Discover the lager with the two Australian and American hops of the famous Irish brewery. 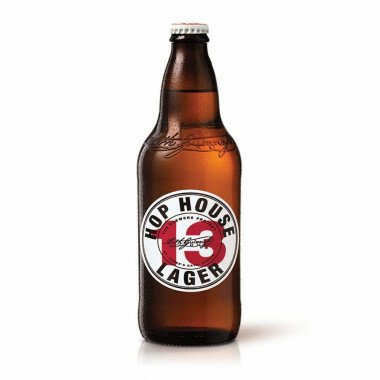 The famous Guinness Brewery offers to discover its Hop House 13 beer in a bottle size of 33cl. This lager-type beer (low fermentation) has an original character very different from the classic Guinness. Guinness Hop House 13 is brewed from Australian and American hops with more ingredients, including 100% Irish malted barley and unique Guinness yeast. The types of hops used are: galaxy, topaz and mozaïc. Better to be used before: see date on bottle. Nose : light hop aromas, mixed with floral and citruses notes. Palate : deliciously hopped with fruity peach and apricot notes. Finish : more hops, more character, more taste, a refreshing and bright beer.